Nestled three kilometers southwest off the coast of Negros Occidental, Danjugan is a lush, 43-hectare island rich in marine and terrestrial biodiversity, thus, it is one of of southern Negros' treasured gem. The island is located in the town of Cauayan and is just about 10-15 minutes away by boat from Punta Bulata White Beach Resort and Spa. Together with Sipalay City and the Municipality of Hinobaan, it forms the southern border of the province and is situated in the Sulu Sea, an important eco-region for marine biodiversity. At the Ceres Southbound Terminal, you can either board an air-conditioned bus bound to Kabankalan City, which has a signage that says "two stops," or ride the direct non-air-conditioned bus to Hinoba-an. Please take note though that the direct non-air-conditioned bus takes longer to reach your destination as it picks up passengers along the way. The seats are not as comfortable as the those of the air-conditioned bus, too, so if you have many baggage with you, you might be uncomfortable. For your convenience, I highly recommend that you take the two-stop air-conditioned bus to Kabankalan City (fare is Php 135), and at the Ceres Kabankalan Terminal, transfer to another bus bound to Hinoba-an (fare is Php 99). You might be even lucky to board an air-conditioned bus all the way to Cauayan! - thanks Ayi Esguerra for this tip. It shortened our travel time from five to four hours! Danjugan Island is managed by the Philippine Reef and Rainforest Conservation Foundation, Inc. (PRRCFI), a non-stock, non-profit corporation organized to manage the conservation program based on the Island that was expanded to include the rest of Southern Negros Occidental. Measuring about 1.5 kilometers long and 0.5 kilometers at its widest point, Danjugan Island is an eco-tourism haven that is home to five lagoons and is covered with limestone forests providing asylum to many wildlife species that struggle to exist in the mainland. The island’s surrounding reef is under the Danjugan Island Marine Reserve and Sanctuaries with three Special Management Areas or No Take Zones established in 2000 through Cauayan Municipal Ordinance 99-52. The tour starts with a short briefing at the Danjugan Island Learning Center, where guests are given a sneak preview of what the island has to offer. After the briefing, the guide leads you to the trekking trail--the starting point of the eco-tour. The trail is quite an easy one, with some parts that are rocky and a bit uphill. The trek takes about 15 minutes from the learning center to the Typhoon Beach Camp. While trekking, the first interesting spot you'll see is the Moray Lagoon. Pretty with clear waters and enclosed by a verdant foliage, the lagoon is like a painting that instantly captivates your heart. 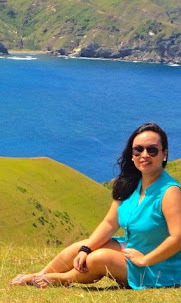 The view is comparable to that of Bucas Grande Island in Surigao del Norte. Not too far from the Moray Lagoon is the bat cave that is home to a myriad bats (about 10 species are documented but most are insect bats). The guide said there is also a lone snake living in the cave. About three minutes away from the bat cave is another lagoon that has a corner where the Bureau of Fisheries had set up a breeding ground for mud crabs. The guide said it is impossible to swim in this lagoon as the bottom is too muddy that it can sometime swallow you up to your knees. Plus, there is not much to see under. You will realize that the 15-minute trek is worth it when you finally landed on Turtle Beach, a cove with calm waters and powdery shoreline. On a fine weather, you can bathe in the sun, walk barefoot on the sand, or just swim. Turtle beach is also dotted with beautiful limestone formations and lush greenery making it a picture-perfect spot. At the other end of the Turtle Beach is the Typhoon Beach Camp, where guests usually go for snorkeling and kayaking. For us, this was no doubt the best part of Danjugan Island. Once we settled our stuff at the cottage, we geared up to explore the beautiful reefs of Danjugan Island. Since we're not certified divers, we just enjoyed snorkeling instead. If you are a licensed diver, you must see the amazing dive spots in Danjugan Island. The island has an in-house divemaster who can guide you all the way. Diving and snorkeling gears are not a problem as the island can provide you with these during your visit. According to the PRRCFI website, there are at least 17 species of mangroves, 572 fish species belonging to 139 genera, 244 species of hard corals, 8 species of seagrasses and 74 species of macroalgae have been recorded in Danjugan Island. Giant clams are also observed in the reefs, and a restocking program for the endangered species of giant clams is being implemented in collaboration with UP-MSI. Other commercially important invertebrates observed are abalone and spiny lobster . The endangered coconut crab still occur in the coastal and mangrove forests of the island. The western beaches of Danjugan Island are known nesting sites of the hawksbill and green sea turtles. There was one sighting of a Dugong in the past while sightings of dolphins are common within the municipal waters of Cauayan which is a migration path of some larger marine mammal species. Since we were so pre-occupied with the spectacular underwater scenery, we almost forgot that our four-hour eco-tour of the island has came to an end, and that it was already time to go to our next destination: Turtle Island. We left Danjugan Island with a heavy heart as we really fell in love with the bare beauty of the place, but then, it was time to move on. The Sulu Sea was bumpy when we left the island, and the way to Turtle Island became a bit challenging for the boatmen and scary for us. We were almost near the docking area when our boat's propeller crashed, leaving us swaying with the huge waves amidst the rough sea. Fortunately, the staff of Punta Bulata White Beach Resort and Spa was able to get in touch with the people at Danjugan Island to seek help. We were rescued (yes, again! bisyo na'to!) after about 30 minutes. It's a good thing that Turtle Island is just 10 minutes away from the resort. They said the island is also a great place for snorkeling and diving. Oh well, I guess we have another reason to go back then. The Philippine Reef & Rainforest Conservation Foundation, Inc.